The “best credit card” is a pretty subjective label. It's all going to depend on how an individual consumer spends money. While some advantages are hard to miss – no annual fee or a low interest rate – others are more subtle and will appeal to one consumer more than another. With that in mind, Money magazine and NerdWallet analyzed more than 2,000 credit cards of all types and tried to select the ones most advantageous, based on consumers' spending habits. When it comes to picking the best cash back card, the judges called it an easy choice: the Citi Double Cash card. The card pays 1% cash back on all purchases and another 1% when you pay it back. It also has an 18-month introductory period of 0% interest on balance transfers. Coming in second was the Fidelity Rewards Visa Signature. When it comes to everyday spending, the judges like the Blue Cash Preferred from American Express. The Discover It card took the honors as the Best for Maximizers and the Discover It Miles was picked as the card providing the best incentives in the first year of card activation. Consumers often choose cards that don't offer the best advantages in their particular situations. For example, if you rarely travel then a travel rewards card may not do you much good. However, if you are a frequent traveler then a travel card may be better than a cash rewards card. The judges picked the BankAmericard Travel Rewards as best for overall travel. For frequent fliers, however, they recommend the Barclaycard Arrival Plus World Elite. The Starwood Preferred Guest from American Express is the pick for consumers who want to rack up hotel points. When it comes to carrying a balance, consumers should look for a low interest rate. The judges found the Lake Michigan Credit Union Prime Platinum is best in that regard for consumers with a credit score of 720 or better. For those with a score below 720, the judges suggest obtaining a credit card through a local credit union. For balance transfers, they recommend the Chase Slate, since it has no balance transfer fee. Will mobile wallets make headway this holiday season? 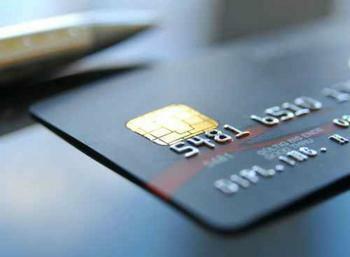 Should you open a store credit account?